were Unitarian ministers, and they were related to other prominent British families such as the Wedgwoods and the Darwins. Mrs. Gaskell spent her married life in Manchester, a centre of working class radicalism. The book is set in the late 1830s and early 1840s. According to Mrs. Gaskell, working class life in Manchester at the time consisted of starvation. Indeed, there is a dialect word for it, “clemming.” The characters often go for days on end without food. If they have anything, it is often only bread. Many characters die of a combination of starvation and disease. Some live in damp, musky cellars. There is an industrial depression and employers reduce the starvation wages even further to compete with manufacturers in Europe. Our speaker on this book was my colleague Lynn Shakinovsky, who teachers literature at Wilfrid Laurier University (https://legacy.wlu.ca/homepage.php?grp_id=420&f_id=350 . Lynn explained that the book was originally titled John Barton. 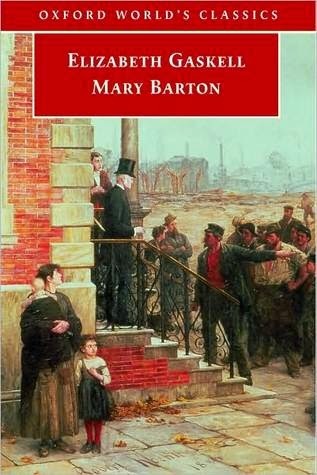 John Barton is a trade unionist and Chartist. Chartism was a working-class political movement in the 1830s and 40s: its charter of demands included universal male suffrage, ending property qualifications for voters; a secret ballot: and payment for Members of Parliament so that people who did not have independent incomes could seek office. In 1839 the Chartists took a petition with 1.3 million signatures to Parliament, but the Members of Parliament refused to meet with their leaders. This is part of the plot of Mary Barton: John Barton goes to London and returns depressed and angry. In the novel, the leaders of the trade unions in Manchester then decide to turn to what we would now call terrorism. They decide that someone should assassinate a member of the propertied classes. They draw lots to see who will do so, and John Barton gets the job. He assassinates Henry Carson, the former suitor of his daughter Mary. He then disappears, returning in despair at his action (which, like much terrorism, has no positive effect at all). On his deathbed, he confesses to Henry Carson’s father. Mr. Carson decides to forgive John before he dies and then reflects on the position of his own workers, suggesting that he will make some reforms. I asked Lynn if her publishers had put pressure on Mrs. Gaskell to change the title so that the book would seem more like a romance, but Lynn said there was no evidence of such pressure in the extensive correspondence between Mrs. Gaskell and her publishers. 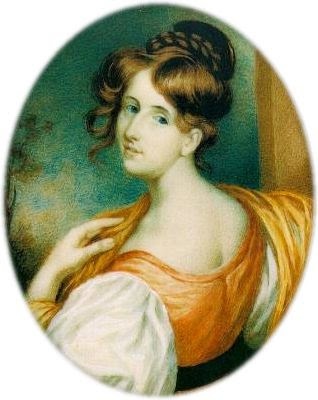 But it seems Mrs. Gaskell was torn between her Unitarian Christian beliefs and her desire to present the views of the radical chartists of Manchester. I must confess the Christian theme of this book passed me right by, until Lynn explained it. And I still wonder if Mrs. Gaskell decided to write about confession and forgiveness because she was afraid that her novel might otherwise be considered too radical. In her preface she almost apologizes for what she writes, saying it is from the point of view of the workers, not necessarily her own views, but then she reminds her readers of all the unrest taking place in Europe just as she publishes, in 1848. I once heard of a university course on 19th century England in which the professor had students read Karl Marx and Charles Dickens. One could equally have a course on the early 19th century in which students could read Frederick Engels’ (Marx’s sometime collaborator) The Condition of the Working Class in England along with Mary Barton. Mrs. Gaskell would not have read Engels’ book: it was published in 1845 in German but the first English edition was not published until 1892. But she seems to have observed as much about the working classes in Manchester where they both lived as did Engels, himself a factory owner. 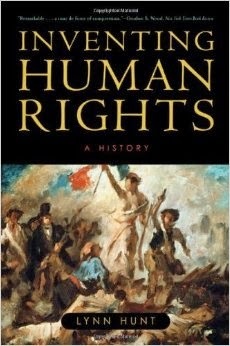 Both Gaskell and Engels help put the lie to the pernicious accusation that human rights are a “Western,” “hegemonic” discourse. They show once again that human rights are interdependent. British factory workers of the 1830s could not eat because they could not vote. Today many factory workers in the so-called Global South can’t eat either, even if they can vote. Gaskell’s novel helped to create that middle-class empathy for the lower classes that the historian Lynn Hunt (Inventing Human Rights, Norton, 2007) says is key to the movement for human rights. "The Age of Wonder" covers some of this stuff.